I was interviewed by 3DVF in 2014. In french only here. 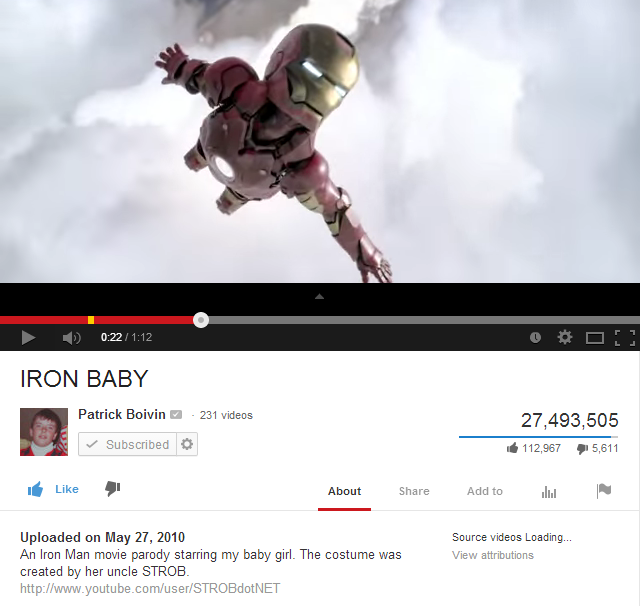 Iron Baby video on youtube. 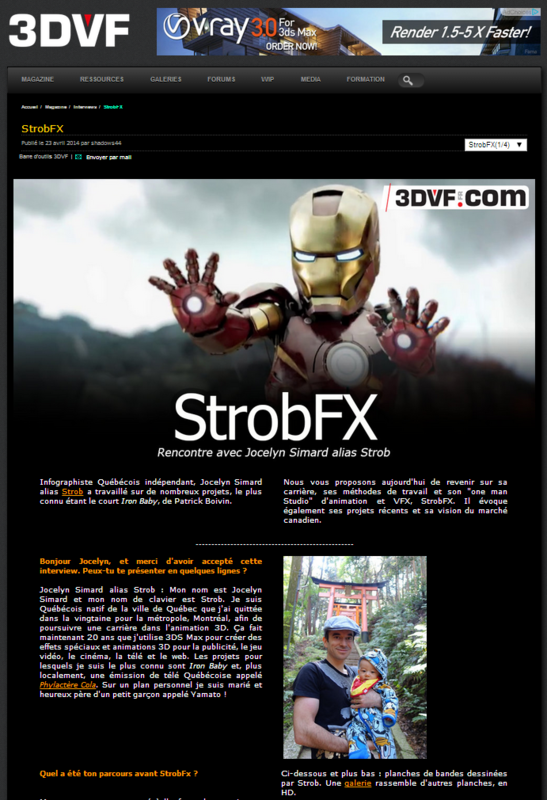 To this date (25/03/2019/) Iron Baby (for which I did all the 3D) was seen more than 82 Millions times on director Patrick Boivin youtube channel and more than 12 Millions times on my own Strob.net channel. 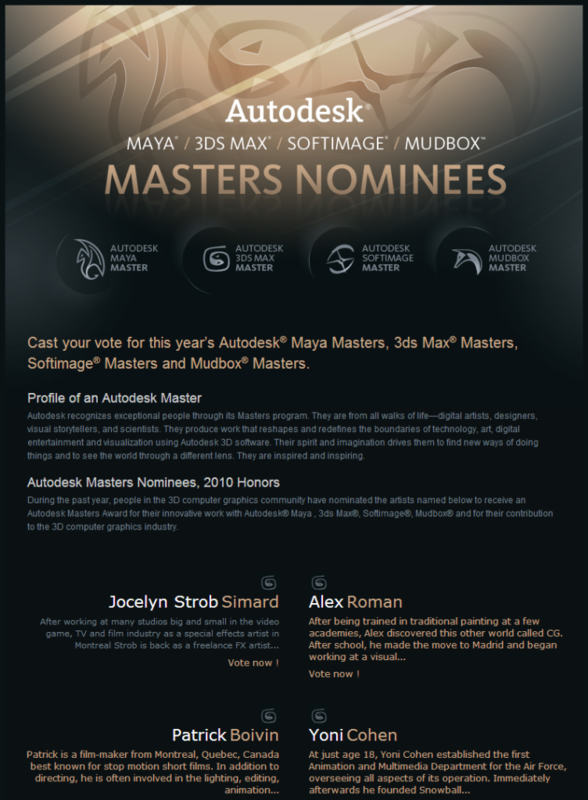 I was nominated for the Autodesk Masters award in 2010.
a book The Art of Gears of War by Ballistic. 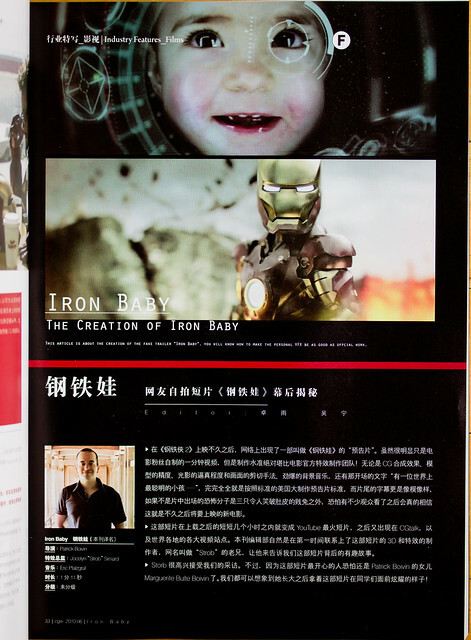 The magazine 3D World cited Iron Baby (for which I did all the 3D) as one of the “100 CG shorts to see” in december 2010.